I don’t know how fresh your Dr. Seuss knowledge is, but in our family (much to my chagrin when I’m tired and have trouble putting normal words together, let alone tongue twisters), he’s a favorite. One of my kids’ favorites? The Places You’ll Go. I love the metaphor for life; it’s no surprise that it’s a favorite graduation gift…it holds a lot of truths. Recently, one of them has really stood out to me: The Waiting Place. I’ve had a lot of time lately to sit and chat with friends, to listen, to enjoy each other’s company and to just do life together. A topic that has been trending, in many different ways, is waiting. So many of my dearest friends are experiencing times of just waiting: waiting for deployments to end, for pregnancies to begin, for adopted children to come home, for over-promising, under-delivering jobs and promotions to come to fruition, for children to get through challenging stages, for family members to find health and hundreds of other situations. My family has also been in a waiting place of sorts. Since we began our journey to NC, we’ve wondered what the plan has been, what’s up ahead and what God has planned for our future. We see it one way, but there are many questions that have been left unanswered. Sometimes it feels like we’re on hold. 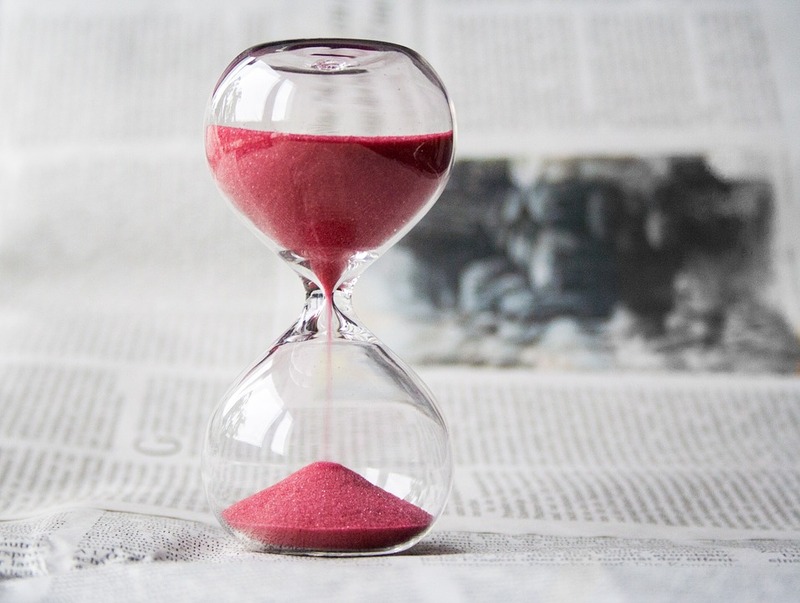 These conversations and our own situation have got me thinking about waiting…its role in our lives and what we’re to do during the wait – whether it’s 2 months or 50 years in length. I’ve come up with a few truths that have helped me during this time, that I hope will resonate with you too. Like I just shared. One thing that has amazed me during our own time of uncertainty is that I am so very far from alone. In fact, it seems like everyone I’ve gotten to spend time with lately is waiting for something or someone. This is a common thread we all share and has been true throughout history. Abraham waited nearly 100 years for Isaac, Jacob waited 14 years to marry Rachel, the Israelites were slaves in Egypt for a few hundred years, then took another 40 years to reach the promised land. Those of us who wait share a rich heritage with others throughout history who have waited. Though the situation may feel hopeless and disheartening, you are not alone. We are all waiting, in one way or another. Before going any farther, I want to be sure that this in no way sounds like I’m minimizing the pain associated with waiting. Waiting is hard. It hurts. It’s filled with questions that don’t always have answers. It’s frustrating. It goes against our natural tendencies and makes us act out (ask my husband. I am not good at waiting). I get it and I want to affirm your feelings before diving any deeper. Please know that if you’re waiting, I understand and so do many others. Though our waits may be different, we are all in this journey together. We aren’t meant to do this life alone. That’s not how it’s supposed to happen. Instead, we’re called to be there for one another, to lift each other up, to carry each other’s burdens and to be a support. If a friend is waiting…listen. Make yourself available. Really find out what’s on their heart without interjecting your opinions or thoughts (this doesn’t mean don’t speak…if something is on your heart, by all means share it!). Digest what they have to share. Be present. If you’re waiting, share with your friends. Be open, be honest and be transparent. Be open to what they have to say, their guidance might be coming from a higher place or could provide a perspective you hadn’t considered. It’s hard to share…but that is what this life is all about. No one wants to hear that their wait could be long. That they could wonder what the next step is for a long time…again…I get it. Lamentations 3:25: The Lord is good to those who wait for him, to the soul who seeks him. Isaiah 30:18: Therefore the Lord waits to be gracious to you, and therefore he exalts himself to show mercy to you. For the Lord is a God of justice; blessed are all those who wait for him. Isaiah 49:23: Then you will know that I am the Lord; those who wait for me shall not be put to shame. I could go on. And on. And on. Waiting is mentioned hundreds of time throughout scripture. But, one thing is clear. There are blessings in store for those who wait on God’s perfect timing. Blessings that are so abundant that we cannot even imagine them. We don’t like to hear that part, right? It’s a hard truth that we like to gloss over. See…we have this plan for our lives. We see ourselves or our family moving in one direction. We’re taught from the time we are babies that if we work hard, we can accomplish anything we put our minds to. It’s what the American dream is based on; who doesn’t want to live in a world like that? Injuries take place (a trampoline taught me this, ending my very real dream of playing college basketball). Pain and suffering enter the picture. Layoffs take place. Loved ones that we had plans with leave this side of Heaven too early leaving holes and questions in our future. Selfish ambitions and motivations step in front of our goals. Put simply…things don’t go the way we plan them. Remember…we are not the author of our lives. Instead, someone much greater than us is in charge. No, seriously. Step away, shut your eyes and think about that. We use science to explain so much…to calm our fears and to provide rationale to an often irrational world. But, to me, there’s comfort in something bigger than ourselves, our own motivations, our own plans. It’s not luck…it’s a plan…even if that plan isn’t ours. As the verses I referenced earlier mention, waiting serves a purpose. It ends in blessings (whether they’re the blessings that we planned or not), beyond what we can imagine. I remember at a high school conference, one of the speakers referenced God’s role as a refiner. It’s mentioned many times in scripture, but I didn’t understand it until he gave this illustration. Refining silver is a process called “testing,” (appropriate for what we’re talking about, right?). During the process, a silversmith heats silver to it’s melting point. When this happens, the imperfections float to the surface and they’re removed. Then the silver is cooled. Process finished? Right? Nope. Once it cools, it happens again. And again. And again, as many times as it needs to be perfect. Do you know when the silversmith can tell that the silver is pure? When he can see his own reflection in it. How perfect is that? We’re called to wait. During that time, we will literally be tested. But, during each test, an impurity that doesn’t belong will be removed. But, just because that impurity was removed doesn’t mean it won’t happen again…and again. But the end result? The reflection of our creator in our own lives. To me, a promise doesn’t get better than this. I don’t know what your wait is. I don’t know how long you’ve been waiting. But, I know your heart may be heavy with unknowns, with what ifs and with plans for your future. Take heart. There’s a plan for this time in your life. There’s still joy during this time (even if it sometimes carries a shadow). Give it up, rest in it and know that something bigger is in the works. Let’s wait together and let’s wait well. Blessings to you during your wait!